population, but their stories provide a powerful vantage point from which to consider a question faced by all Palestinians in Israel: to what extent are they, in fact, Israeli? 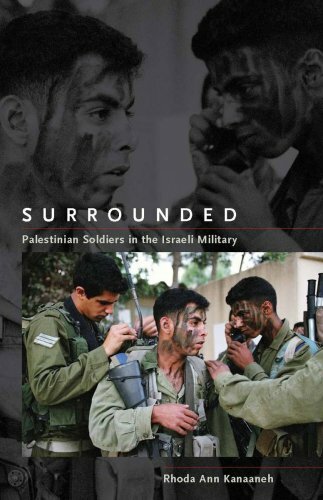 Surroundedcontains over seventy interviews with soldiers, and provides a unique glimpse of their conflicting experiences of acceptance, integration, and marginalization within the Israeli military. Concluding with comparisons to similar situations around the world, the book upends nationalist understandings of how wars and those who fight in them work. A key to a more complex understanding of ethnic conflict, this gripping and revealing look at a select group of soldiers will immensely alter ideas about the reasons why people choose to fight, particularly on "the wrong side" of a war. Rhoda Ann Kanaaneh is currently a visiting scholar in the Department of Middle East and Islamic Studies at New York University. She is the author of the award-winning bookBirthing the Nation: Strategies of Palestinian Women in Israel(2002) and co-editor of the anthologyBlue ID: Palestinians in Israel Revisited(2008).